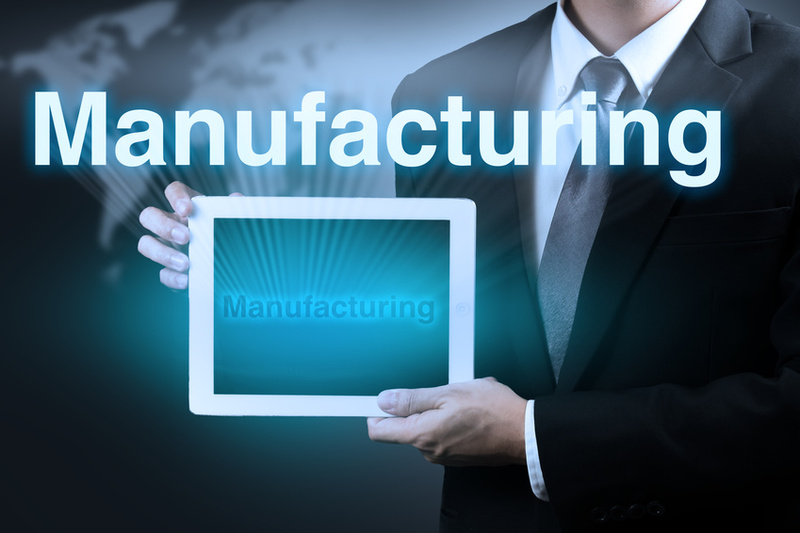 JAAS Advanced Manufacturing Software (JAMS) offers a complete and flexible business solution for multiple types of production environments: make-to-stock, make-to-order, engineer-to-order, project centric, job shop, batch and repetitive. JAMS is a feature-rich, end-to-end manufacturing system which keeps you in control with real-time visibility and communication tools. Because MANUFACTURING is our expertise, we make it our business to understand your business. A multi-level Bill of Material Routing that presents both engineering and financial views of the product structure; efficiently plans and manages your inventories, costs, and manufacturing processes as well as full revision control. The Bill of Material/Routing module not only creates production specifications, but is the framework for the planning functionality in all JAMS modules. Integrated BOM/Routing– Directly connect materials, work instructions and overhead costs to an operation. This allows for the time-phased release of materials. Multi-level BOM/Routing– Lists the components required to produce an item as well as any subassemblies and their components. Provides both an engineering and costed view of the entire product structure. Revision Control– Maintain a complete revision history of your BOM/Routing. This allows you to save and view multiple revisions, both past and future, as well as the reason for the revision. Effectivity/Expiration Dates– For planning and execution activities, you can enter the date the material will become available for use and assign a date the material will no longer be available for use. Production Steps– Provide detailed work instructions that describe the specific work that needs to be performed at ach operation. Through the steps and standard note capability, you can document the entire process. Phantoms– Allows the user to enter phantom items into the BOM. These items show up on the BOM, but disappear when the Production Order is created. Changes to phantom items, such as components or quantities when made at the BOM level are carried throughout the system. Reference Designators– Identifiers that relate to individual material lines on a BOM can be used to reflect multiple reference points on a drawing, so you don’t need to create multiple lines for that item in the BOM. Flexible Copy BOM– The capability to make a complete copy of an existing BOM/Routing to a new BOM/Routing. This copy can be used as an alternate BOM/Routing for the same inventory item or may be used to create a different, yet similar, inventory item. Multiple Costing Methods and Capabilities– Allows for average, standard and actual costing methods. Other costing capabilities include the ability to add tooling costs and overhead costs, both fixed and variable. Unlimited Fixed and Variable Overhead Costs– Define unlimited fixed and variable overhead costs by operation or work center. BOM Cost Roll– Flexible cost roll can be utilized for a single level BOM or multi-level BOM, by item, or site. Costs of the lower level items will “roll” up into the costs for the higher-level items. In a standard cost operation, costs will update the pending standard cost for each item in inventory. From components to finished goods, the JAMS Production Management module gives an organization the ability to control the entire production process. It provides the ability to track material and labor costs, schedule production on the shop floor, and allows the user to compare the standard/planned production costs to the actual costs of the production order. Production Order Tracking– Captures the total manufacturing costs for a production order including material, labor, machine, tool, overhead, and outside processes. Production Order Changes– The capability to build prior or alternate Bills of Material revisions as well as substitute operations and/or materials on a production order. Scheduling– Multiple scheduling options to meet customer’s delivery dates. The system utilizes both forward and backward scheduling methods to allow for flexibility. Lot / Serial Tracking– Full lot and serial traceability throughout the lifecycle of the item. Lot and serial numbers can be assigned or entered manually through purchase receipts, inventory issues, and shop floor control transactions. Critical Materials– Allows you to view any quantities that are short for a specific production order. It allows for creation of Purchase Orders and Production Orders for the parts that are short from a single screen. Labor Tracking– Apply direct production labor to a specific production order by employee. In addition, non-production time can be entered through the use of indirect codes by employee. Materials Tracking– The system allows stock and non-stock material quantities and costs to be issued to a production order. If the material is a Lot/Serial tracked item the user will be required to input the Lot/Serial number at this time. Backflushing labor and/or material– The system allows for backflushing of labor and/or material. This is useful when companies only wish to record the production quantity. Production Performance– Compare Standard/Planned costs with Actual for multiple cost buckets; labor, material, machine, tools, fixed and variable overheads for detailed production order cost performance. Event Audit Trail– Lists all the events a production order goes through. Includes a brief description, the date the event occurred, and the ID of the user that performed the event. Barcode Integration– The system can utilize barcode data collection to record labor and material transactions as well as inventory transactions such as issues, receipts, cycle counting, and physical inventory. The art of balancing supply and demand is critical to any manufacturing organization. The JAMS MRP module is a powerful planning tool that enables an organization to satisfy customer requirements while maintaining optimal inventory levels. MRP Display– The core MRP screen; it shows the planner exactly what needs to be purchased and/or produced. From this one centralized location, all supply and demand can be viewed and production and purchase orders can be created directly from this screen. MRP Exception Messages– Shows the planner recommendations to defer, expedite, and delete supply items. Exception messages also identify late orders and displays any transfers that are available from another warehouse or site. Full Regeneration– Can be scheduled to run anytime, day or night. All existing planned orders for all items are wiped out. MRP starts all over, calculating gross and net requirements and then replans what materials are required to either be produced or purchased. Master Production Schedule– The MPS is entered manually by the planner. MRP plans all requirements based upon the MPS. The MPS is treated as a pre-planned production order and acts as a supply for other demand requirements. Sales Forecasts– Forecasts can be generated utilizing past sales history and/or entered manually. These forecasts can be dependent and consumed by sales orders or can be independent. MRP Detail– The MRP Detail Inquiry screen shows all of the activity for an inventory item within a site and where that activity was generated. Bucketless System– MRP plans requirements from every single demand; it does not compile requirements for a period of time. The system allows for flexibility by allowing user-defined time buckets.